Mr. Rajesh C. Mathur is Advisor, Esri India. Prior to that, he has held the position of Vice Chairman of the Board and President of the company. Mr. Mathur is an Electrical Engineer from IIT Delhi. He has attended general management program conducted by Ross School of Business, University of Michigan. Mr. Mathur has been associated with the IT industry both in India and overseas for more than 30 years. He has handled assignments in General Management, Marketing, Corporate Planning and International Operations. Prior to his current assignment he has worked with Wipro, IDM and DCM Data Systems in India and USA. As the head of Esri India, India’s premier GIS products and services company, Mr. Mathur spearheaded the growth of GIS deployment in India. He is actively involved with various professional bodies associated with the Indian GIS industry. He is currently Chair of FICCI Committee on Geospatial Technologies. He is also the President of Association of Geospatial Industries (AGI). He is a member of the Editorial Board of Geospatial Today. He is also associated with several academic institutions in an advisory role for their geospatial education program. He is a member of the Bureau of Indian Standards Committee on Geospatial Standards. He is also the former President of Indian Society of Geomatics (ISG) and was honored with ISG Fellowship in the year 2012. He has also been honored and acknowledged by the India Geospatial Forum by conferring Lifetime Achievement Award in year 2012 for his pioneering contribution to the Indian Geospatial Industry by creating awareness and demonstrating benefits of this wonderful technology in different walks of life in India. Agendra Kumar is President at Esri India. He has over 25 years of experience in IT business management and has served as the country head of several multinational technology companies. In his last assignment Agendra was the Managing Director of SGI in India. He has been associated twice with SGI (earlier known as Silicon Graphics Inc) with a prior stint as Director, Sales during 1994-2000. 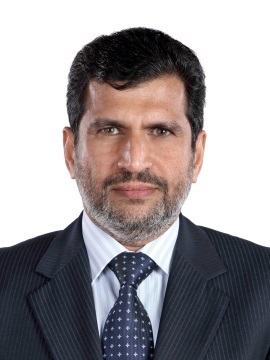 In between he worked as Managing Director of Veritas India and upon its merger with Symantec Corporation took on global account management responsibilities for Asia Pacific and Japan region.